GUT HEALTH: Supercharge your digestion with easy to digest, gut health promoting Grab-N-Go Bars. 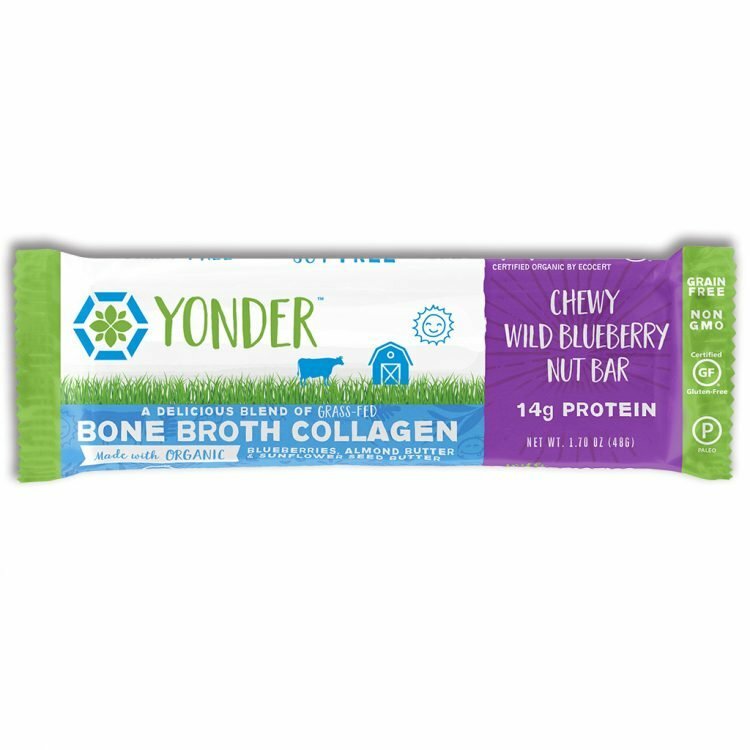 Added collagen supports the inner wall of your digestive tract and getting the nutrients and benefits of homemade bone broth collagen in a convenient Bar, satisfying delicious whole food Organic Wild Blueberries & Nuts flavor with No Broth taste whatsoever. SUPERIOR QUALITY: We source ALL of our nutrients from clean sources, our bone broth is sourced from European Grass-Fed & Pasture-Raised animals with no added hormones or antibiotics. Our formulas are co-created with a Ph.D. Naturopath 30-year expert nutritionist who also cares deeply about your health. Me and my son loved the wild blueberry nut … they’re filling and taste great..! It’s so nice to finally have a bar that is high in protein (and actually tastes great) without all the sugar and “bad stuff”. Thankful it’s non-GMO! Love this bar. Love the flavor and texture of these bars! Unlike any bar I’ve ever had before. I can’t believe something so yummy is actually super good for you too! Always feels like a treat when I have one. My favorite flavor is the Blueberry Nut but I love them all! 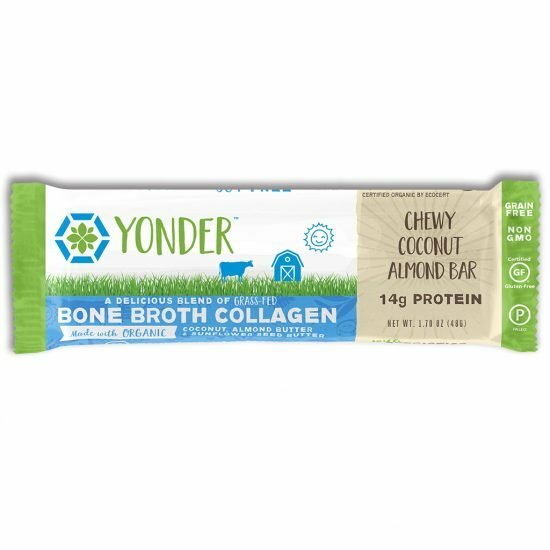 I have had many diet bars and this is my favorite! I like the chewy texture. Also not so many calories. I do like all the flavors. Good formula. Love the blueberry bar. I immediately thought of bit o’ honey candy when I bit into it. I love that it forces you to slow down while eating it because it is so chewy. Can’t wait to try the other bars! Being a health nut, I’m extremely picky about what I eat and what goes into my body. I will not eat most “Health Bars” due to the high amount of sugar coming from dates/sticky syrups or any other artificial ingredients that are inside them. These bars have none of that AND taste amazing! I’m a fan! This is my favorite bar and I’m a chocolate girl. I tend to want to eat what is not very good for me but these bars make eating healthier a lot easier. since I work full time and have three kids, I often skip meals…therefore I need a bar to grab and eat easily, that’s HEALTHY and makes me feel good. I love the blueberry nut bar. Very excellent. I like your ingredients. There are a lot of ‘food bars’ that are truly empty and void of anything beneficial. These are delicious and very good for me. Love them! I usually opt for chocolate, but this bar is delicious! I’m so excited about these bars for the health benefits they offer. It’s a bonus that they taste so good! I absolutely love this bar! The fruity taste is delightful and the texture is great. It is so incredible that it not only tastes amazing, but it is good for my body! I am so excited about this bar.